An all-natural premium cold-pressed juice without any preservatives or artificial colors. Get delivered made to order premium cold pressed juices across Kochi city, with a shelf life of 72 hours if kept between 3°C - 7°C. Our drinks are high in enzymes, anti-oxidants, vitamins and minerals. I've been quite a loyal customer ever since inception.  I had been neglecting my fruit and veg intake due to my schedules and Raw Squeezed has been a saving grace! Their concoctions have been keeping my cravings at bay and guess what?? I actually experienced a remarkable improvement in my complexion and reduction in my hair fall! I am thoroughly impressed with the product as well as the fantastic team behind it! Thanks for the awesome natural product.. tried 3 type of squeezed juice.. good concept n worthy... really loved ur product. My first experience as customer: Prompt response to the online order, quick delivery, excellent packaging (loved the reusable, smart glass bottles), and very flavourful juices. Tried 3 flavours and every bottle was consistent in quantity and had that natural, refreshing feel. Thanks for these healthy options and looking forward to trying more. Excellent ... Nothing more nothing less. Cold pressing is relatively new concept .These guys have taken a bold step by making it available in a tier 3 city like kochin . Please do encourage them. Fresh and lovely. Was super skeptical before ordering it because I'm weary of added sugars and preservatives. A tad pricy, but I'm sure if they put a subscription model in place it would be more affordable. All said, beats the trouble of buying and juicing all the vegetable and fruits yourself. Had this amazing juice while i was in Kochi. Their combination of fruits & veggies is really good. Visited their production facility & turns out they don’t use preservatives & sugar. The faculty and premises is very neat and clean. All their juices are very tasty and healthy. Worth trying it in regular basis. We would be happy to be associated with premium restaurants, boutique cafes and health care establishments. For retail enquiries please contact. Contact us to get extra discount on bulk orders. We can serve Premium cold pressed drinks and salads for all kinds of events including office breakfasts, Meetings, Weddings, and private parties.